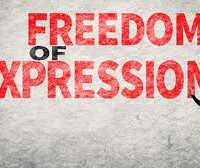 KARACHI: A global commission has urged world leaders to take action to promote democratic models that protect the exercise of freedom of expression and opinion while respecting the principles of pluralism, freedom, dignity and tolerance, and the ideal of reason and knowledge. According to a press release issued by the Ethical Journalism Network on Monday, a Declaration was adopted unanimously by members of the Information and Democracy Commission — that is chaired by Reporters Without Borders (RSF) secretary general Christophe Deloire and Nobel peace laureate Shirin Ebadi — 70 years after the Universal Declaration of Human Rights was adopted in Paris. The commission consists of 25 prominent figures of 18 nationalities, including Nobel laureates Amartya Sen, Joseph Stiglitz and Mario Vargas Llosa and the Sakharov Prize laureate, Hauwa Ibrahim. It also includes new technology specialists, lawyers, journalists and former heads of international organisations. The other members are (listed alphabetically): Emily Bell, Yochaï Benkler, Teng Biao, Nighat Dad, Can Dündar, Primavera de Filippi, Mireille Delmas-Marty, Abdou Diouf, Francis Fukuyama, Ulkir Haagerup, Ann Marie Lipinski, Adam Michnik, Eli Pariser, Antoine Petit, Navi Pillay, Maria Ressa, Marina Walker, Aidan White and Mihaïl Zygar. In a six-page document titled ‘International Declaration on Information and Democracy’, the commission set out democratic guarantees for the freedom, independence, pluralism and reliability of information at a time when the public space had been globalised, digitalised and destabilised. To this end, the statement added, the commission asked for strong commitment to be expressed as early as Nov 11, during the Peace Forum, when dozens of political leaders would gather in Paris. According to the press release, the commission’s mission statement— written by its two co-chairs — said the Declaration must “constitute a point of reference that will mobilise all those who are committed to defending a free and pluralistic public space, which is essential for democracy”. It said that enshrining a “right to information”, understood as reliable information, was an innovation that established that human beings had a fundamental right to receive information that was freely gathered, processed and disseminated, according to the principles of commitment to truth, plurality of viewpoints and rational methods of establishing facts. The commission called for the creation of an international group of experts whose mandate and funding should ensure its independence from both companies and governments. It should have the power to investigate practices in the information and communication space and their impact on its means, architectures and norms. “Democratic accountability will require continuous expert participation that adequately balances global representation with rigorous evidence-based assessment of practices and conditions of knowledge production in the global information in the communication space,” the Declaration read.